" ... perched above a driftwood-strewn beach." "Best B&B on the Coast ..."
ELK COVE INN & SPA. 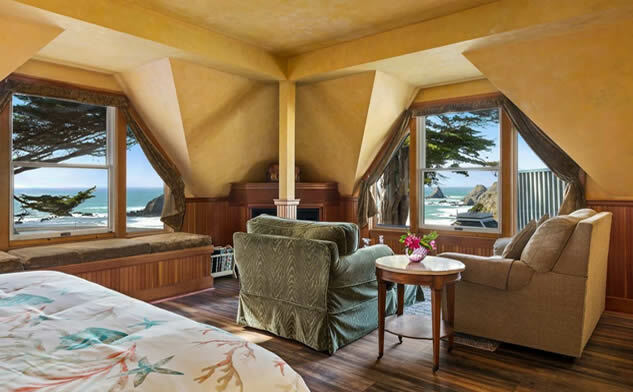 Discover one of the most romantic boutique hotels on the Northern California Coast – 150 miles North of San Francisco; 25 miles south of Mendocino. 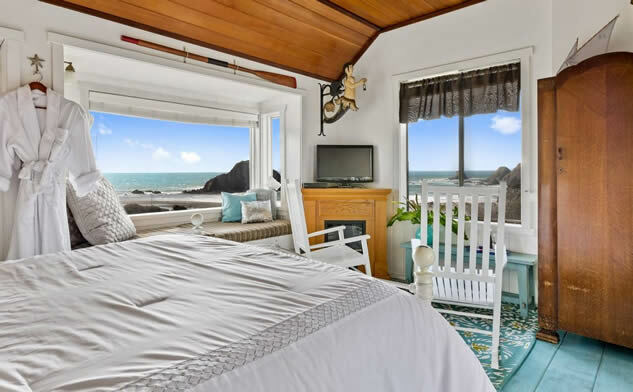 This one-of-a-kind, ocean view Mendocino Coast bed and breakfast, with luxurious accommodations and European-style Day Spa is totally dedicated to your rest, relaxation and rejuvenation. Not far from Napa and Sonoma, a drive on California’s Route 128 takes you through the Anderson Valley — home to popular wineries and champagne cellars — then leads you through a magnificent redwood forest to the Pacific Ocean and on to the majestic Elk Cove Inn situated on the most breathtaking route of California’s Highway One. 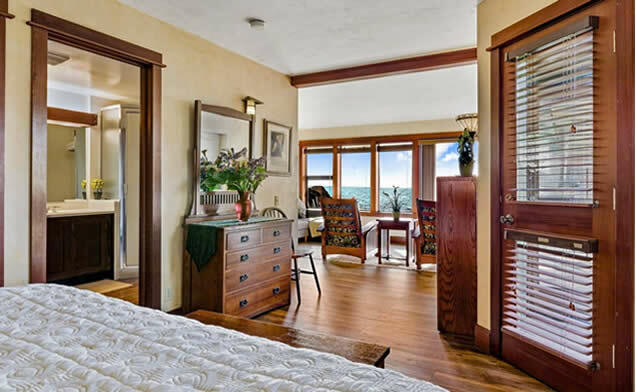 Elk Cove Inn is a favorite for romantic getaways, honeymoons and anniversaries, people who travel with their pets, girlfriend getaways, LGBT travelers, spa retreats, marriage proposals, elopements, weddings … reunions and business gatherings! We enjoy a steady stream of those who travel by bicycle and motorcycle. And we’ve become a popular destination for singles who come for the beauty and serenity and stay for the inclusive vibe of friendship. Bring the one you love to Elk Cove Inn & Spa this Spring & SAVE! Book a 2-night (Sun-Thu) stay at Elk Cove Inn & Spa through May 23rd and pay full price the first night and get HALF OFF of the second night. Rather come for 3-nights? Great! Book two nights (Sun-Thu) at our regular rate and we will add the THIRD NIGHT FREE. Welcome gift basket with homemade chocolate chip cookies, fruit and wine on arrival. Champagne with our delicious complimentary breakfast. Cocktails and wine served every afternoon in our lounge. Satellite TV available in most rooms. Local and long distance phone calls in U.S. and Canada. 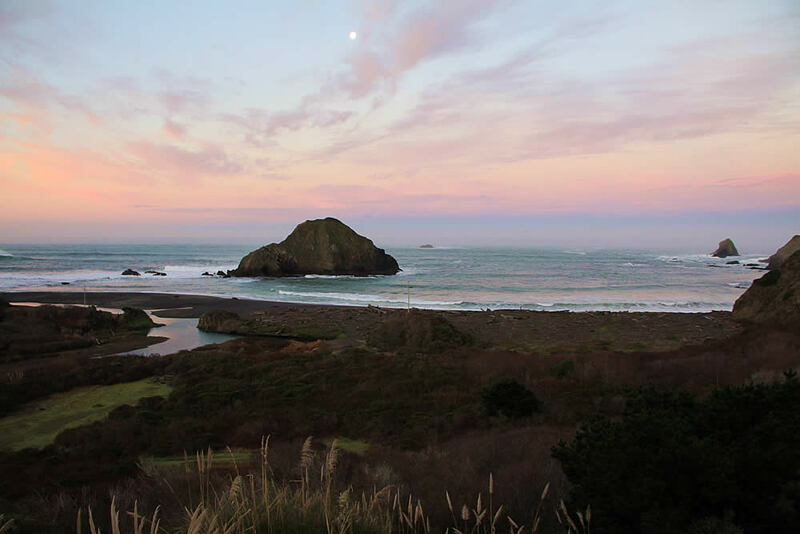 And the best ocean views on the Mendocino Coast! 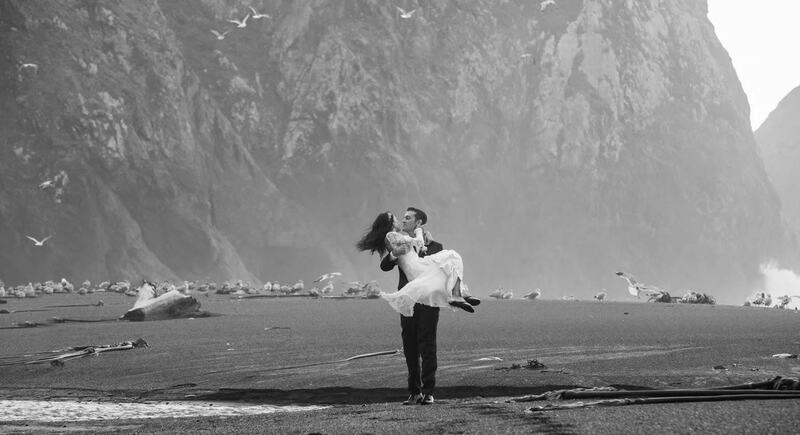 Imagine an enchanted Northern California Coast Wedding. Standing with your beloved under the gingerbread roof of the gazebo or on the beach with the Pacific Ocean spreading out to the horizon beyond is an unforgettable setting for that most special moment. 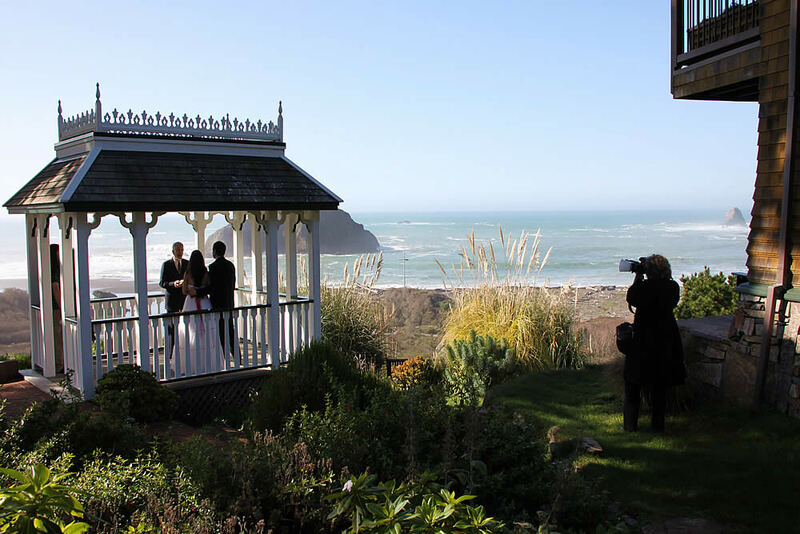 Who wouldn’t want to be married here on the Mendocino Coast? It’s soulful, very romantic. You take away with you a gift that lasts the rest of your life.